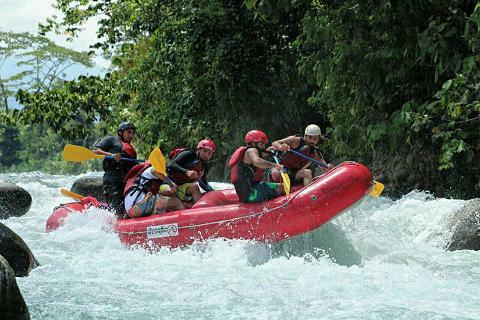 Rafting is one of the most-popular activities to do in Costa Rica. 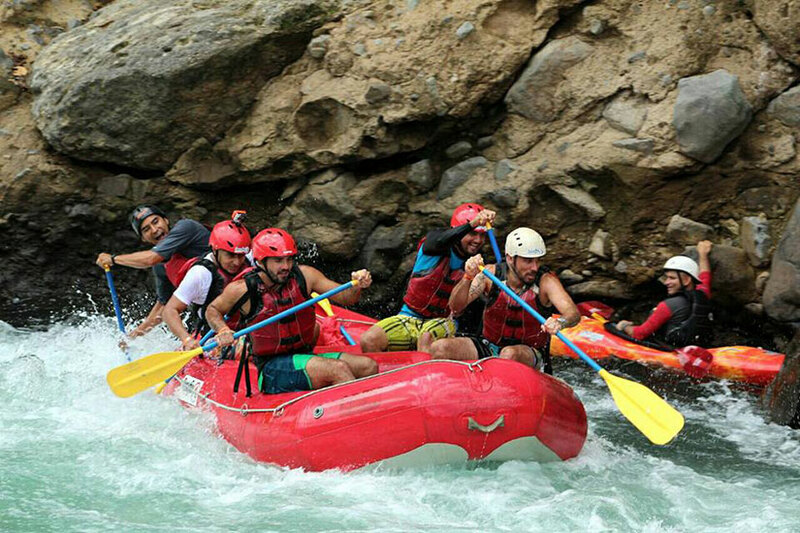 We offer Class 2-3 rafting near the Arenal Volcano and this is the perfect rafting tour for first-timers, families with children, all nature lovers, outdoor enthusiasts, and people who are looking for an easy-going rafting adventure in Costa Rica! After getting picked up from your hotel, we’ll drive through the beautiful Costa Rican back roads to our private put-in , equipped with bathrooms and changing rooms. 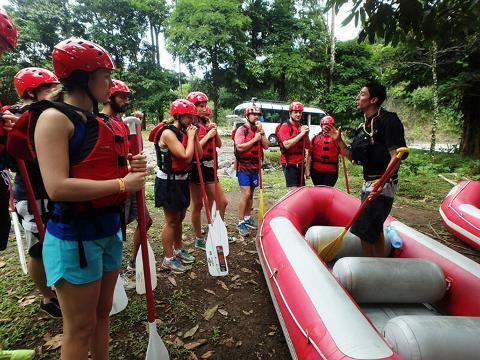 Your professional guide will provide paddling and safety instructions and then suit you up with safety gear to prepare for your adventure! As you descend down this beautiful class 2-3 river, you’ll have a chance to admire the lush greenery, vines, and different types of insects, birds and animals -- your eagle-eyed guides will even point out the monkeys, sloths and toucans along the way! 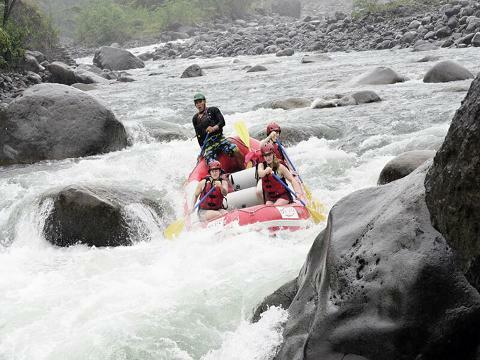 About half way down the river your guides will provide you a smorgasbord of fresh tropical fruit as you relax with the rest of your group! Take a swim and immerse yourself in the wild nature around you! 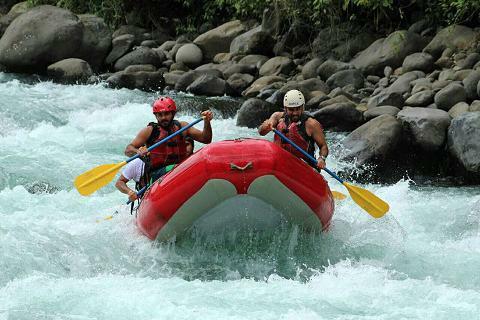 When your rafting adventure is finished, enjoy a typical Costa Rican lunch at charming rural location. After your day full of nature, adventure, and delicious food, we’ll drive you back to your hotel on our comfortable air-conditioned vans with FREE WiFi! And lots of adventure with our photographer! Secure shoes and a big smile!